I have no idea where to even begin with this album. You pretty much have to head over to Armcannon's website yourself and put in your own order for this album. I've taken forever to write this article just because every time I sit down to think about what to say, I have nothing but praise for this album, but can't put that praise into just the right words. That isn't exactly critiquing the album is it? But what is there to critique? The production value is incredible. Each of the musicians in Armcannon is inhumanly talented at what they do. Even the packaging of the album is dangerously awesome (owners of the album know what I mean). This really isn't a review anymore, now it's just praise for an album that has been a long time in the making, and every note is drenched in hard work and amazing musicianship. All I can do now is go over this album track by track, pointing out the awesome along the way. The first song is Kraid (Metroid) or Cranial Syphon [Kay-Raid] and kicks off the album with the ominous sounds that the Metroid series is famous for. These sounds build strength until the guitars really come in. once the guitars come in, any metal loving fellow can't avoid rocking this song! About a minute and a half into the song, things quiet down again to bring the keyboards to the foreground of the piece, along with some impressive guitar work. All the intricate piano and guitar play just set you up to love the song more as it hits the next section of metal which includes an epic guitar solo, which feels right at home in any Metroid game, an amazing feat no doubt. The song drops you out of this piece you calm down a tad with some more intensive drum and keyboard work, and finally letting you off this first section of their epic ride with more keyboards and some nice effects. That outro sets you up very well for the introduction to Smegaman III [He Enter Magma] which you should guess is a tune from classic NES title Mega Man III. The intro is some nice solo piano work, but that is quickly replaced by a full on assault by the entire band. Up next is an amazing piece, where the band stops abruptly letting the keyboards slide through and continue from where they left off in the intro. This time after the brief piano solo, you are eased more carefully into the rock mayhem, which stops again, for a brief and famous riff, to remind you exactly where this song got it's inspiration. The song takes a slight turn after this riff, but continues to rock, of course. Now we are about four minutes into this six minute piece, and we are treated so another excellent solo. Like I said with the last song, it can be tough to work a solo into an already made arrangement without it sounding out of place or cheesy, but these guys pull it off amazingly. Right at the last minute of this song, they strike out in another new direction, and just rock out until the very end with Mega Man's death. Mega's unfortunate demise also kicks off the third track Techno [For Some Reason] which is the most metal techno song I've ever heard. Lots of distortion and effects in this song, also a lot of techno style game sounds. Don't let all that fool you though, because there is still plenty of rock to go around on this track. In the last minute of the song, all the techno rock insanity gives way to some ambient and creepy sounds, but brings you back with what I can only describe as a video game solo. Song number four starts you off with more of that amazing Metroid ambiance you love, this time from one of the greatest games ever made with one of the best endings ever to be in a video game, of course I am speaking of Super Metroid, or as this song likes to be called Super Cranial Syphon [Drum Poetries]. They really bring out the entire feel of Super Metroid incredibly well in this piece, and as the title says, there is much drum poetries to be had in this song. Very strong drums surround this entire song, and give it the alien world vibe that is ever present in the Metroid series. This song, is also able to convey the feelings of being all alone on an entire planet, as well as the feeling of an extremely tough fight with larger than life enemies. How a group can fit all these thoughts into a six minute song is incredible to say the least. Now at the four minute mark we get the classic Metroid percentage complete theme as an impressive bass solo. After this the song pulls you back down into the depths of Zebes with the ambient tune which plays as you fight the Spore Spawn, the first major boss in Super Metroid. The theme finally ends with a final strong sound of Super Metroid's main theme. From one amazing SNES sequel to another, we enter the stage Boomer Kuwanger (Mega Man X) or as the fellows from Armcannon refer to it, Borrow Mega Nuke [Eureka Bong Worm]. Well whatever you decide to call it, it's another amazing song, that puts you right back in touch with your memories of playing the game. This is also the shortest song on this album, clocking in at about two and a half minutes. By no means does it's length mean it doesn't have depth though and even includes some of this albums only lyrics. This song will easily remind you of all the scaffolding you dashed across and every buster shot you charged. And in the last 30 seconds this song hits an amazing breakdown. This song is fast, and incredible. Sometimes there is something to be said for brevity eh? Next up, we are going to the Tecmo Superbowl i.e. Dutch Town [Elbow Computers]. This song starts calmly enough, but no time for that. The announcer quickly tells you where you are and why you're there. After which Armcannon hits you with another blistering solo for your troubles. This is another track that is on the short side, but this song is pretty much all about rocking your face off, so it's definitely not a bad thing. After some more talk from the announcer, this song hits it's second half with another impressive solo. Finally we end with what I assume to be the game winning touchdown, and game over. Now this song, one of the first songs that made me really know how awesome, and how serious Armcannon was about the music they made. It's Still More Fighting (Final Fantasy VII) or the more awesomely titled Bigger Boards [With Bigger Nails [With Bees in Their Mouths]]. This song is pretty much PURE fight. This is probably the most amazing rendition of this song I have ever heard, better than any other band, and even better than the remakes Square and Nobuo Uematsu himself have made! This will remind you of the possibly hundreds of hours you have poured into this game, and how fun all those hours were. Within the final half minute of this thrilling song, you are treated to a very amazing rendition of the opening title screen music. The music that you are always so happy to hear every time you've ever fired up a Final Fantasy title. It brings this song to a brilliant and beautiful close. Speaking of opening music that you can always rely on, the final and longest track on the album, the medley of The Legend of Zelda & The Adventure of Link or Dozen Elf Death Gel [Unearthed Knife Volt]. The introduction is a very somber and classical approach to the most famous of all Zelda tunes. Building from this, the piano takes us into the nearest dungeon, where the music, just like the game, gets much more action packed. From here we head straight into a side-scrolling dungeon courtesy of Zelda II, the music continues to be just as intense here as well, at least until link dies. But dying is no reason to lament, as the cheerful game over music here indicates. Just when you think the song is over, Armcannon comes back with a quicker, more rockin' version of that famous Zelda music they showed us at the beginning of the track. The track builds a lot of strength in the final stretch and finally ends with one very memorable riff for any and every Zelda fan. Or so you think. The keyboards come in for one final and elegant piece only to fade out. There is one final piece to this album which is a cool informative piece, with a voice thing. Buy the album and you'll be in the know about it. Like I said at the beginning of this review, it's tough to basically stretch out the sentence ALBUM AWESOME! BUY BUY BUY! but this is my attempt at it. 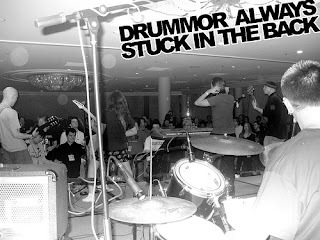 The band is simply amazing and has impressed me every step of the way while I have been working on this website. This album may have been the most anticipated release in the VGIM community for a long time, and with good reason. 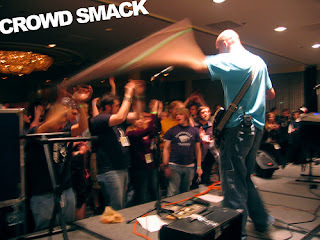 Once again, you can purchase this album at Armcannon's website, or the band's myspace page, and do pick it up. There are a lot of bands and artists, who take the theme from original games, and arrange them in new and interesting ways, ways we never imagined hearing these arrangements before. Armcannon does this, but somehow, unlike many musicians who simply remix songs, they retain the pure essence of the song. That very particular soul of the song, where you remember perfectly the scenes from these games they cover. Armcannon reminds you of how much you loved these games, how much time and effort you out into them, and how much fun and satisfaction you got back in return. I know a few bands who want to be considered amazing musicians and not ride on the coattails of the nostalgia factor alone when recreating the songs they know and love. 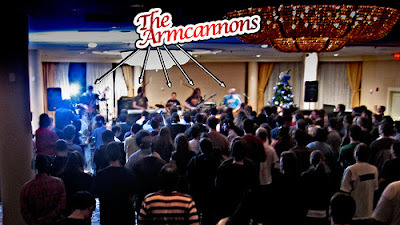 Armcannon does stand out without the use of this nostalgia factor, yet at the same time, they do have it. 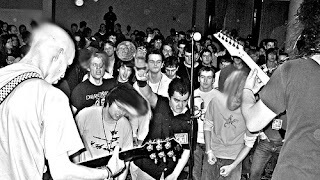 It's difficult to explain, but Armcannon is one of very few bands that pulls off both the nostalgia factor, and the plain fact that they are incredible musicians.